No menu. No music. We answer the phone. "Hauling trash is all we do, and we’re really good at it!" 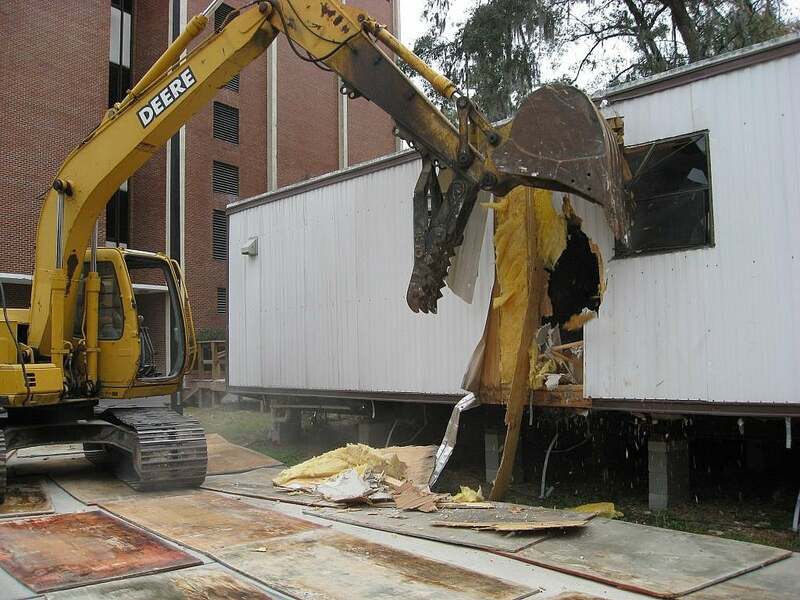 Florence Recycling and Disposal also provides demolition services to the Gainesville area. No job is too small or too big. From apartment complexes and hotels to mobile homes and pools. Florence guarantees fast and affordable demolition services. "It doesn't matter if we are hauling our construction trash ourselves to the Florence Transfer Center in Gainesville or having a Roll Off dumpster delivered to us on site, Florence Recycling has always taken that extra step to make sure we are satisfied." "Unbelievable service from a Roll Off Trash hauling company. They work around our schedule, we don't have to work around theirs. Florence has been my choice for almost 30 years. I wouldn't use any one else." "Florence has hauled our construction trash for almost 25 years. From a single family home to large apartment complexes, to big commercial developments they have been there providing on time service. When I call their number, they answer the phone." "We use Florence Recycling for Roll Off containers for the construction trash hauling from our total home renovation projects. They are always on time and put the containers right where we need them." "Great service, I like the fact that they take my trash to their recycling facility for sorting and recycling." "As a business owner and contractor I only use Florence Recycling. I have used them for years and I have never been let down. I get same day service and the drivers are safe and professional." We answer the phone, no menus or music, just fast personal service.